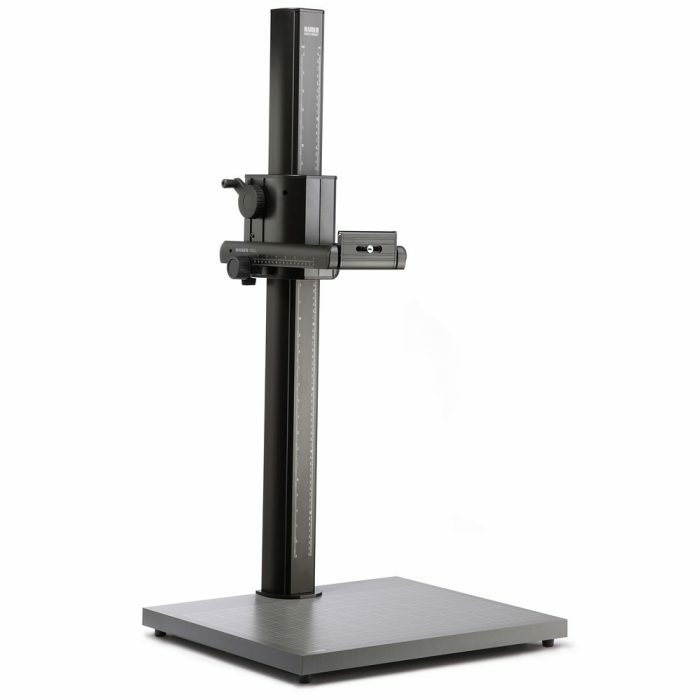 Counter-balanced height adjustment. 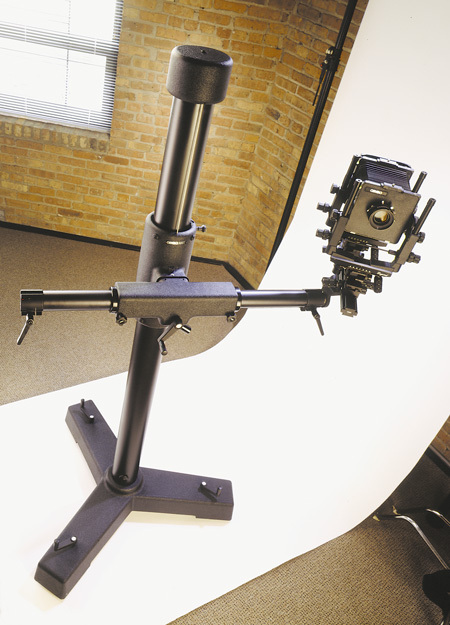 RA 1 camera arm with camera adjusting device, can be set to different camera bodies. 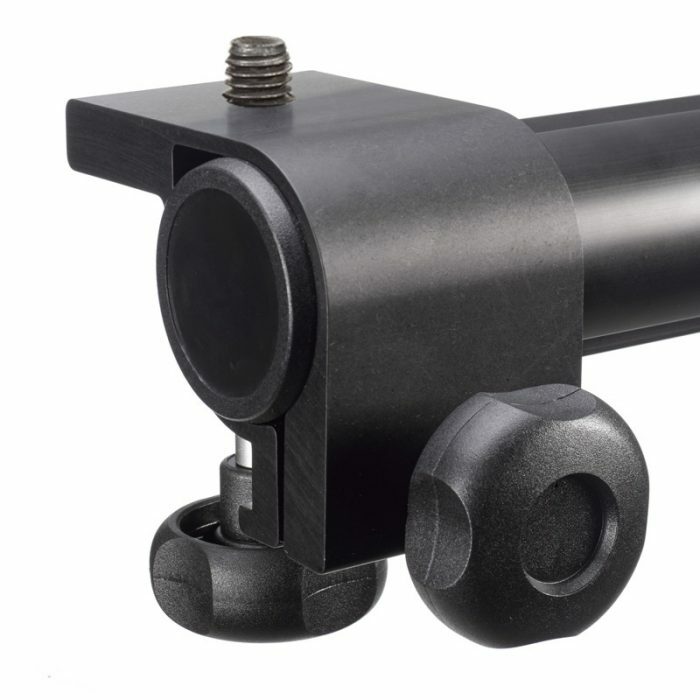 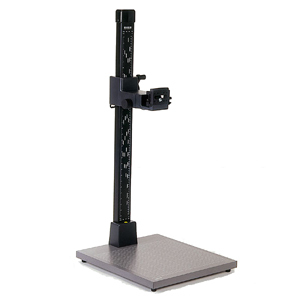 Features non-reflecting matt black base plate with grid and height-adjustable feet, Spirit level in column base, 2.7" wide low-vibration column made of matt black anodized aluminum tubing with scales. 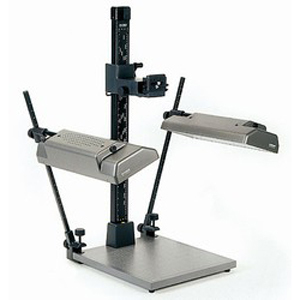 The unit also features Height adjustment with hand crank and Camera arm with interchangeable thread (except RS 1 microdrive).